Scientifically known as Stachybotrys chartarum, black mold is one of the most common types of mold you can find in your home. The name itself is ominous enough, making it seem like your house could be taken over by the plague. Black mold can be toxic but there are easy ways to try an prevent it from invading your home and wreaking havoc on your immune system. 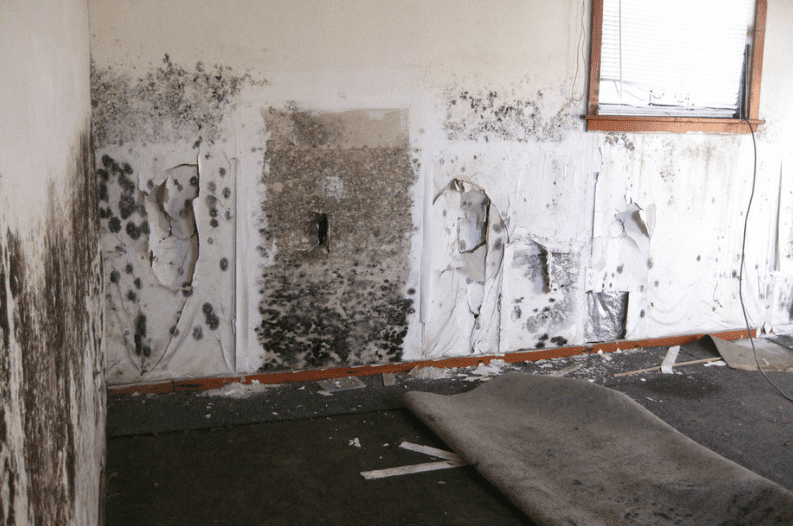 If you are experiencing any of these black mold symptoms and find this type of mold in your home, it can be costly to treat. Porous materials infected by mold should be thrown away (carpet, tile, ceiling tiles, etc). In most cases, you're able to hand black mold removal yourself. All you need is some bleach solution or basic cleaning products. The CDC recommends using 1 cup of bleach in 1 gallon of water. Make sure you get all of it cleaned because you can still have a reaction to any dead particles that are leftover. Treat the area in a mask and covering all body parts (including protective eyewear) to be wary of mold spores spreading and causing an allergic reaction.